Have you ever experienced a situation, or crisis even, that you know you only made it through by the grace of God? I don’t just mean He got you through it, but that the power of prayer helped you along? 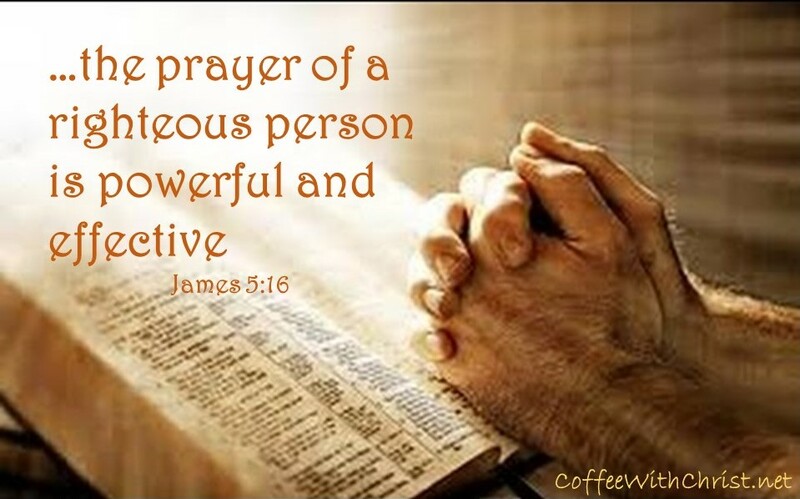 And not just your own prayers, but you could feel the prayers of others uplifting and encouraging you and giving you strength? It’s amazing, isn’t it? I had a situation a couple of years ago, that I saw no foreseeable way out. It would take a miracle to fix the problem. I’m not one that typically reaches out for prayers for myself, but this instance I knew it was well beyond me. I texted all of my prayer warriors with what was going on and that I needed prayer, in a big way. I, unlike my typical way, got down on my knees at my bedside and poured out my heart, pleading for God’s direction. I asked Him for the miracle, yes. But I also backed it up with begging for faith that He knew what He was doing and to trust His outcome. I prayed all night intermittently. The next morning I got up to check the status of the situation, and found that it was almost completely restored. It literally required a miracle, and God provided. I don’t mean to sound trite; this wasn’t a life and death situation; this was a way of life situation. And the remarkable thing about it was the one person that was in it with me was shown the miracle. But so were my prayer worriers. These people know the power of God, the other person didn’t. These people have all faced situations in their life that things felt like they were falling apart. I see this as added encouragement to them; to know that He does care for all of us, and everything we experience and live through. Now I say all that to throw in this next point: I’m reading a book that partly discusses what heaven is like. (I’m only about a quarter of the way through and am not comfortable recommending it yet- but I can say so far I think it is awesome!) It has brought up multiple notions about the afterlife that I find beyond interesting, and more than comforting. (I realize this is a book by a man, but I can’t help but think, if man can come up with these ideals, based on Scripture, then surely the ‘real thing’ is even more fantastic?!?!) But in this book, one character that has recently died, is shown by his guardian angel that he can pray in heaven for his friends that are still on earth. 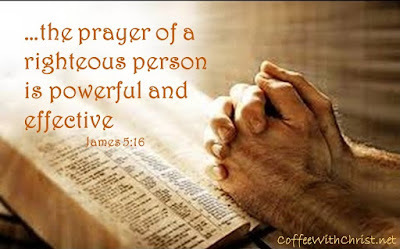 James 5:16 states that the prayer of a righteous person is powerful and effective. The book I’m reading goes on to say “But if the prayers of righteous imperfect ones on earth are effective, how much more the prayers of righteous saints made perfect in the very presence of [God]…Perhaps part of [God’s] purpose in bringing you here now is that your prayers for [your friend] may accomplish even more?” (Deadline, Randy Alcord) The thought that it is possible, and probable, that those in heaven can pray for us is mind-blowing to me. It’s one thing when we have prayer warriors that pray for us here. But to think that we have prayer warriors that pray for us there? The Bible states that Jesus is at God’s right hand interceding on our behalf (Romans 8:34). Read Jesus’ prayer in John 17:9-24: if Jesus said that here, even though He was (is) perfect, imagine what He’s praying while He sits in Our Father’s Presence! When you feel like you’ve got no way out of a situation, can I suggest that you reach out to your warriors here for their prayer assistance? And have faith in knowing that at least One person in Heaven is pleading your cause as well.